Another chapter has just been added to the website about Belsebuub’s Biography. It can be found here. I share your gratitude Dimi and Penny. Belsebuub’s example is such an inspiration and a great example of how to truly live a spiritual life. Thanks very much Belsebuub and Lara for your tireless efforts in ensuring this precious information about how to transform our whole way of being has a voice within the world. I too feel appreciation for Belsebuub and Lara for the time and efforts you have both offered freely, in this ever challenging humanity. The depth and dedication you have both shown is truly inspirational, beyond words. Despite the very few that choose this Work, it has certainly shifted my perspective and life goals. I write message this knowing that the world is intentionally being sabotaged by the immense forces of darkness, which is the opportune time to seek out our own inner demons/egos, and face them knowing that there is much more to loose if we don’t. Wishing you both the best, to continue on with the battles that may lay ahead. Thank you Lara for posting this article and thank you Mark for sharing this extraordinary part of your journey! It is truly a wonderful gift. Your experience of the beautiful shore that you where in Mark and the freedom you found was very touching. As I was reading I had a glimpse of the beauty of that and I felt a spark of inspiration within my heart that left me with a feeling of hope. I have also wondered about what it would be like to incarnate both mail and female aspects of the being, becoming androgynous? I cannot fathom what this would be like. But what comes to mind is, and I can only speculate that it may be a feeling of wholeness and harmony. I find this very intriguing. You are a great inspiration to me and your life has been a wonderful illustration of this magical work. I have seen it come alive in my life and have experienced its possibility. May your teachings, the example you show of dedication and strength, and the message of love and of the light, reach all of our hearts and its effect be far reaching. Thank you once again for all that you have given and I wish you all the best with the choice you have made and wish that you realize all of your hearts desire. I saw Belsebuub in my dream last night, (without going into any details that might be personal), there were 2 things that had a deep impression on me. 2 – He looked extremely busy, like every second was absolutely precious for him and he was doing all that he could, to take the most out of it. Yet there was absolutely no rush or nervousness in him. That was a very unusual combination – going against the common perception of a spiritual figure who sits hours in meditation, walks and talks slowly, because he is in such a deep peace… But Belsebuub seemed to have it all, those incredible and profound peaceful and kindhearted feelings, while being so active and intensive in approaching every moment of life. I hope to get much more guidance about everything that is relevant to me to know and be as helpful as possible to support his work and the teachings. Currently, without our help, I don’t think B. has the appeal necessary to play the part of World Teacher. I have mentioned him in my book. I think that we can each introduce others to his material but he has not enough books available, and in not enough languages. There is still so much work to do. If I can make my own book a big success then I can forward the spiritual fans over to him and make his books known to the world. In other words, one of his pupils may have to get famous to make him more popular. Either that or invest in printing all the books in several languages and spread them throughout the world. Perhaps we could brainstorm more approaches, because many seekers are lost. As for now, I think there are some things available, that we can all do individually, that are obviously supportive to Belsebuub, like writing a little supportive comment here, giving a bit of a donation there, suggesting his books to your good friends who take seriously your opinion about spirituality and sincerely seek to find more in life… All these little things do accumulate and help. Never underestimate the power of consistently doing little good things. And doing our best to be a good example of the teachings is absolutely vital. The more of our subconscious is gone, the more we can understand and help. Yes, it’s true Vadim. Here, I see that you demonstrate true humility. According to my perception, Belsebuub does not just have knowledge of different dimensions of himself and the universe, he also has the one who directed his work so that it gives credibility. In other words, he has taken a path from a good sense of leadership. Moreover, the danger of distorting powerful teachings like those of Belsebuub is a constant risk. The predecessors of Belsebuub, and Belsebuub himself, demonstrate that new data about what we discover ourselves through self-exploration and the exploration of universe can add to theirs. As long as the message does not compete with theirs. Thankyou for those reminders and useful tips. Very timely for me. Giving and sharing ‘consistently’ even in small ways adds up to something powerful. You are welcome, all the best with everything. Hi Lance, you made several assumptions that I do not agree with. First of all, I understand from this blog post that Belsebuub does not have the goal of becoming a World Teacher. Secondly, the recent removal of the most popular content from this website (https://belsebuub.com/why-we-removed-our-articles-on-meaning-of-solstices-equinoxes) suggests that the aim is not popularity. From my research into the plagiarism situation mentioned in the ‘Why we removed our articles on meaning of solstices and equinoxes’ I can see that Belsebuub is already quite well known by people who search online for spiritual topics, particularly new-age topics. However it is surprising that so few of those who see this website study it enough to abide by the principles of this teaching, take part in recommended projects and contribute to community discussions. So I think he isn’t unknown, as Aleks also pointed out. That post (https://belsebuub.com/why-all-this-is-free) goes on to explain excellently why his work has never been popular, as not charging money for it because of adhering to divine principles “it’s been virtually ignored in the world”. However I think as well that if more people had taken up and dedicated themselves to what he teaches, and there could be thousands, he could have had much more support and perhaps things would have been different, and even if just the people who did would have supported and defended him in the needed ways perhaps, he might have wished to become a Teacher once more. The fact that there have been well over 3000 cases of people using content from Belsebuub and Lara’s work and passing it off as their own confirms that this is the case. Unfortunately, it seems that although many people are drawn to the pleasant aspects of spirituality, such as going on a retreat in a beautiful location and doing uplifting practices, there are very few who are willing to make the efforts needed to support the light in the world in a serious way. It’s a pity, as there are still many opportunities to support this work, such as by participating on discussions on the various websites that are connected with this site, or in other needed projects, such as contributing towards research. I hope that people will be able to make use of the opportunities that are currently available to them, as I’ve learnt the hard way that nothing lasts forever and it’s far better to make use of opportunities as they arise, as they are often for a limited period of time and shouldn’t be taken for granted. Thank you, Michael. You make some excellent points on taking advantage of opportunities that are available now. Thank you for sharing your experience Vadim. Sharing experiences that are non-personal like that can be useful and helpful to others in the right context. A number of people have also seen Belsebuub as a giant in the astral. You are welcome Lara, it just felt right to share this part of the experience, as it felt to relate to things described in Belsebuub’s Biography. Thank you for sharing that other people saw him as a giant too, wow it is so interesting to study these things in the astral. Thanks Vadim and Lara for your comments. I’ve also found it inspiring to hear the experiences of others, which often give me a boost to put in extra efforts to gain my own experiences and knowledge. I can relate to seeing Belsebuub larger than life size in an astral experience, and also to the impressions that you shared of what it meant. I had a similar experience some time ago that I shared on the Spiritual Journeys blog (https://spiritualjourneys-belsebuub.com/2017/03/03/my-experience-being-taught-in-a-classroom-by-a-divine-being-in-the-astral/). Like you, I thought that Belsebuub’s size had a meaning related to the depth of him as a being, particularly in comparison to myself. It is interesting that you saw him growing like that between multiple experiences. I have not experienced such a thing, as that particular experience was a one-off in which I think I was shown that particular aspect of him. 2 days ago I also had an astral experience with Belsebuub, and he was very tall and a perfect being. As mentioned by Vadim and Aleksandr, I also felt that Belsebuub’s size was related to his esoteric level as a Being. Thanks for sharing John, it is inspiring that teachings with Belsebuub are still available today. I hope that you can share details that are not private from your experience, and that may help others have similar experiences. I am so glad that you posted your experience. Four years ago I was awake in the astral and needed help. I said “help” . “I am not Mark … I am Mark’s heart . . I instantly knew it was Belseebub. The Being Belseebub had the outline of the earthly Mark I knew when I was his student, but an immense light shone from his face. Bondi Junction, Sydney – Mark taught me from late 1996 to early 1998. In my case it was proof of when the student is ready the Master will appear . . . They (Divine Beings) seem to know so well when we need their help the most and what to do to help us take next steps in our spiritual journeys. Thanks for posting this update Lara. What an incredible achievement you have reached Mark, and I wish you all the best in this new part of your journey. It’s very awe-inspiring and brings a whole new meaning to the descriptions of happiness and joy. I’ve been reflecting on this last chapter for a while now, trying to sort out the various emotions it brought up when I initially read it and to understand what it all means. When I first read it I was filled with wonder, happiness for Mark and yet also a deep sadness and sense of loss. It took a while to understand those feelings since I felt a bit ashamed that I felt them, but reading everyone’s reflections here has been really interesting and helpful to see that others also felt similar things and with good reason. It is a huge loss to not have Mark teaching in the world today, and I too feel a keen sense of regret for the times when through my mistakes I have let him or others (and to a wider extent humanity) down. When I take a look around at my life and how I’ve been able to make so many positive changes, and have had so many amazing opportunities I see how in their essence they all link back to having found Mark’s work and being able to put it into practice to start my own inner journey. The inner states I’ve been able to overcome and understand, the connection to the divine, the people I’ve met, and experiences I have had – I really wouldn’t have had any of that had Mark not put out his books and courses. So I’m really so grateful for all the hard work you put out there Mark throughout your life. I hope I can give something back to humanity and take my own inner work more seriously so that I don’t waste the opportunities that may come my way now. I’m so happy for your Mark and thank you very much for your inspiring example of how to live out this work. It ‘s hard to find the right words that could describe my feelings reading your last article…. Your teachings are in my mind,in my soul and my heart. Thank you so much for whatever you have done and achieved in order to help us. Definitely,so many sacrifices that I cannot emagine. Before knowing about your teachings, I was wondering how a man or a woman can reach the light. It’s was like a fairy tale…Thank you that you are the real example of someone who can be real free of the inner darkness…This is a great gift that will be my reminder…. This world is getting worse but there is always the real hope and the example of change. Thank you Lara and all the people who are close to Him and heloing . Congratulation Belsebuub for your incredible & unimaginable achievement and much strength for your choice. I am forever grateful for everything you have done and given to the world! All the best to you and Lara! Selfishly, I would have liked Belsebuub chooses to return to society, with his great knowledge on the life. But he have already given. It’s up to us, now to show him, how grateful we are. We are what we are, where we are, for ourselves. And we know that we do not have the privilege of being free, totally free from the abyss. And even, to be in front of the choice he has, at this moment. I hope you’re fine, Lara. I hope Belsebuub, you’re fine too. And I hope everyone here is fine too. All choices are difficult to make. I feel abandoned to myself. And I do not find it funny. I do not feel particularly happy, at all. It seems to me that this is not the time to feel gratitude. Nor do I want to wish him good luck. He is ready to cut the cord with us. I would be happy to live that, in its place. But I have not achieved such a feat. And it make me see the possibilities of what I can achieve. I can not complain. But, I would like to be able to go where he goes. I know he is encouraging us to follow even further. I’m proud of the spiritual mentor I chose to lead me the way. We are really privileged to have a mentor as strong as him. I know that the impossible is possible. But never would I have thought of witnessing a person’s ascent to the third mountain. I find that extremely confusing, disturbing, demanding. And I wonder how does Lara feel? I can talk about miracles. I know that I will not give my life to anyone, because I have reached great spiritual steps at my level. But the impossible becoming possible in one only life? The darknesses still has a lot of grip on me. The little ground I gain from them is a thin protection against death that seems to be moving faster than the speed of my learning. I would like to laugh, but it’s not funny. It’s not funny at all. In any case, I love you all, everywhere in the world. Always thanks for everything. All that I can live thanks to the guidance of the mentors. Until to nourish the hope of making possible the impossible that the spiritual adventure arouses in me. Of course Belsebuub I applaud your success, I could never applaud another person as much as you. Goes, Join your peers in secret, who knows you like theirs, they wait in joy, to celebrate your victory. We are all with you. The adventure goes on. You quit here as a great spiritual leader and return to the high spheres like a son already born. We are proud of you. It is truly remarkable what you have accomplished Mark. I am so very happy for you, from the bottom of my heart, and I wish you lots of love and the very best for your journey ahead. Like many others here I have had many feelings come up in regards to this news and it has sparked a deep reflection in me. My main feeling is of immense joy for you, for what you have accomplished and for your new journey ahead into the light – a truly remarkable, unimaginable journey. I also feel sadness and remorse because I feel that I have not made the most of the opportunities I have had over all these years. Time moves on, and so do opportunities, as nothing stays the same forever. It is a reality and a lesson that continues to hit home for me. I truly value all you have done and given with your work. I really value your teachings; they have helped me so much in understanding myself, the purpose of life, how to develop a relationship with the divine and experience spiritual things, how to free myself from negative inner states, and how to change for the better as a person. I value and appreciate so much learning from you and working with you over the years and our friendship. I have learned so much from you and your example. I am looking forward to reading your new books when they come out, and am so thankful you are writing them. From the bottom of my heart, I am eternally thankful and grateful to you and I wish you much love and peace, and all the very best for your journey ahead. Lara, thank you for sharing this with us. That is a glorious conclusion to an extraordinary life. I feel very grateful to have come in contact and been a part of Mark’s teaching in the world. I know the depth of his spiritual knowledge through meeting him personally (and he shocked me by being so open, warm, grateful and aware of who I was!) and visiting him and receiving his guidance in the astral for many years. Things have changed so much over the years, but Mark has changed dramatically and he has earned this hard won, penultimate reward. A bitter sweet wake up call for the rest of us and another gift from Mark. Thank you for the update Lara and huge congratulations to Mark! This news is amazing, wondrous, incredible, joyous, inspiring and unsettling all at the same time. I’ve been reflecting on all of this over the last week and drafting this comment and I can see a couple points I have written are co-incidently the same as ones Matthew has made below. I’ve been thinking how rare these events are in this world or even this universe! And it’s totally amazing to learn from Mark the ground breaking information of the two ways, of knowledge and of light and the new faculty he is learning. I’m also very glad for him he is free spiritually and free of the prison of circumstances that he was in for years, except for the ongoing issue of plagiarism of his work. Reflecting on the last 8 years I can see a number of important things I have learned through witnessing the process he went through and from being involved in some of the matters and events at times. How rare an opportunity to be a part of that. Unfortunately I didn’t always make the right steps at the right time and am sorry for the mistakes but the learning has been invaluable. that because the light was contained within the walls of a prison, that has a negative effect for the rest of the world and for those trying to do this work. He then explained further in response to more questions about the increasing darkness in the world that he believed indeed the situation had never been more dire for the work and that it was virtually impossible for people to do the work at that time but things could possibly change. Also he said that from his experience, darkness had succeeded in getting a total grip on humanity which will only get worse. However a power can overcome it but it is imprisoned. Looking back over the last three years then since those comments and seeing what took place, it seems possible to me it is no coincidence Mark had that experience in January 2017 of being freed from confinement and having “an overwhelming sense of being free”. It seems to me to be possibly related at least in part to some members of this community finally doing what was still needed to protect and support the source of light in this world and whilst we didn’t do that properly everyone was withering and weak. We left the light in a weak position so therefore we could not receive much strength from the light. Reciprocal weakness. Personally I got a lot out of contributing to that and it’s great to see so many other people’s contributions. In any case, I wonder if that experience of being freed which Mark had shortly after that support was in place is a sort of confirmation that a requirement to protect and support the light had been fulfilled. I’m very grateful to have had the opportunity to be a part of it but I can only be disappointed I didn’t help make it happen sooner and I would like to say thank you to Mark for bearing with us. I hope now the situation isn’t as dire as it was and that now the light is more free to help those who want it to overcome the darkness. No longer stuck in that prison it’s great to see the religion of the sun moving forward and for Mark’s updated Searching Within book finally released after it was held back for a long time. Although, the plagiarism issue continues to be a problem, diluting, distorting and distracting from the real teachings. That issue has the extra new information from Mark still withheld from release. A quarter of the book still not published! So there is still a bit of a prison for these teachings, in this case mainly due to that major mainstream author. I pray one day the truth will be exposed and Mark rightfully known as the true source. After all that’s happened to him and with the way the world is going I can’t say I blame Mark for not wanting to go back into society, instead choosing the way of light. It is very sad to think no one will have the benefit of him physically teaching them directly. I will never forget the times that I met him as I cherish his guidance and teachings which are my life and the basis for most of what I understand. I don’t know if we as a community were a stronger support whether that would have changed anything or not but regardless as others have already suggested in the comments I think it is very good to reflect on what I could have done better and what opportunities have been missed and what standards not met. I can only pray that somehow similar opportunities might arise again in the future and that I grab them with both hands. Mark has always been about selflessly helping humanity. I wonder then if his taking the way of light might still be a help for this humanity. May the light of Belsebuub overcome the darkness that has gripped the world. Thank you deeply to Mark for all he has done and for all he has borne, for the example he has shown and the understanding he has imparted. Thank you for bringing to our attention that old blog with Mark’s comments David. Reading it again now made it more clear to me how an individual spiritual activity is actually a responsibility towards the world, and could be a part of the way how to lift up the state of humanity and help the Light in the world through our own little contribution. I think this part of it didn’t quite sink in before for me, as I thought that my own activity or inactivity was more-less my own problem… So thank you again for your contemplations. Your comment also made me reflect on the contribution of my own inner state. Like you, I also find it hard to see that my own inner state can make a significant difference, and for this reason set external markers of success rather than inner ones. Although I am not clear on the projects that David mentioned, I do know that there were many initiatives in 2016 and 2017 that brought about a rekindling of inspiration and spiritual practice and it was overall a very uplifting period. I hope that it is possible to continue with this momentum into the future. Having said that, I cannot help but think that a lack of wisdom, willingness to change, and right action on my and others’ parts has led to Belsebuub’s decision to withdraw from public teaching. I was reading Searching Within earlier today, and a quote related to the role of punishment stood out. You participated in the projects I was referring to, including the history and remembering sites. As I said before it’s great to see so many contributions (of testimonies) there. At the same time it is surprising to me to see who did not contribute there and I mean more than just a short basic comment on a centers page. I am seeing the situation from the other side now. I once contributed small comments to previous initiatives which though useful, there was so much more I could have said and it would have helped a lot more I am sure and would have been of greater benefit to me in the end as well. I can see it’s the same old thing still happening and it’s quite sad really. Everytime I reflect on my past, I too see how I could have done more, said more, and participated more fully. The one main thing holding me back was the same “being jaded or [having] a very strong sense of inertia” that Jenny mentioned (and Belsebuub commented on 3 years ago). Over the last few months my awareness (from a Self-Knowledge perspective) of this problem has thankfully increased and so I can personally do something about it. I still worry greatly for humanity though. There is so much information out there demanding our attention. With so many flashing signs, twitter updates, sensationalist media reporting, and unfair living standards, it seems that everyone is in a mental coma, not only unwilling but also unable to participate because their mental faculties are so overworked. So, in order to ‘feel something’ people seem to be increasingly seeking pleasures — which of course, is disastrous. No wonder Netflix, Twitter, etc are so popular. It’s so bad that I saw a BBC article that shows a chinese road that had a lane specifically for people who were using their smartphone. Apparently, there’s even a new term to describe these ‘zombie walkers’: phubbers. The need for people to ‘unplug’, find prayer and the peace of the spirit within is ever so great, but with this global apathy and frenetic state, it’s so hard to engage with people on a meaningful level, I find. Anything I might say to a person has to compete with Snapchat, Messenger, Instagram and SMS updates. Thankfully I have some friends around me who constantly remind me that “It’s all mathematical”, meaning: if you put in the effort, the results will follow. The need to the Light here is vitally important, and I hope that Belsebuub’s guidance will be with us for some time yet. Thanks David for clarifying the projects that you meant. I was very happy to see the Gnostic Movement portrayed as it actually was, and I agree that the initiative brought a lot of strength. I realize that in my own question to you I did not clarify the projects I found strengthening in the past two years. The main two were activities initiated by The Spiritual Sun, and the Experience Articles websites. Both of these projects brought about a rekindling of practice that I needed very much after the closure of the Gnostic Movement. Thanks, David, for sharing that link. I was looking for it for a while a few months back and even had a hunch to watch that video recently. I wanted to reflect more on what Mark shared there and others as well. I also thought of it again after reading that portion in the biography of his experience of freedom. Thank you for sharing that David. That’s a very interesting reflection and perspective and it was good to read the comments in the thread again for more understanding. Thanks for sharing all your thoughts and reflections David, and the link to the older blog post with Mark’s comments about the light being imprisoned and how that affected people. Definitely more food for thought, and I think what you wrote was really well said and touched on a lot of important points. I think Matthew’s comment below also brought up some really important points. It’s interesting that you mentioned apathy. Now it’s been a little while since the last entry of Belsebuub’s biography was published and I’ve had more of a chance to reflect on it and what it might mean for me and the world, I am sadly again faced with my own apathy, indifference and lack of action. It’s hard to look at the implications of that indifference for my own work over the years, and the implications it has had for Mark and his circumstances, and for other people who have been limited in their ability to find the work and to access the amazing opportunities we have all had. There are so many times when I have not done anything or not done enough, or wasted time getting distracted by things which in retrospect (and sometimes even in the moment) didn’t matter, and many times I have known what I needed to do but for one reason or another I have prioritised other things or lacked the strength to take the actions needed. When I first read the update, I was just really happy for Mark after all he’s been through, that he is able to go back into the light, and that he won’t have to face all the difficulties of coming into the world again. It seemed a very fitting end (or new beginning!) to his biography. And I was also a bit awestruck thinking about how lucky we are to have had Belsebuub as a guide, how what Mark has gone through is so rare and his knowledge is so unique. That he has written down the steps we need to go through in such straightforward detail seems even rarer still. Just thinking about it uplifts me. But then because life is very busy for me at the moment, I just kind of moved on without thinking more deeply on it, and it was only coming back to the post and last entry and reading other people’s comments and reflections (thankyou everyone) that I began to think of the wider implications. It makes me sad that I can honestly say that the work is the most important thing in my life, and that I try to live it in everything I do, and yet I can still have this huge underlying indifference that affects how I approach it. I look back and see that I have wasted so many opportunities to learn and that I haven’t properly used the very remarkable situations we have been privy to as part of Mark’s journey. Mark, you are a great source of inspiration, and you have always been such an amazing support and guide over the last 15 or so years that I’ve known about your work. Thank you for being there, and for everything you have done in your life to clarify and simplify the path for us, and to guide and teach us, through your work and through your actions and how you have lived your life. If not for the clear way that you have outlined the practices and steps required to really develop spiritually I don’t think there’s any way I would have been able to understand them (I might not even know about the path of the son / sun! ), or make the positive changes in my life that I have been able too, as looking into other spiritual books and teachers left me either confused or very underwhelmed. Your legacy in the religion of the sun has also very quickly become an integral part of my life, and I will do everything I can to try and make sure it succeeds in flourishing in the world. You have always been there as a reassuring voice and friend through your books, talks and articles, and I’m really sorry for all the times that I have taken you and your work for granted, and not done what I should have or needed to do at that moment, and instead did something else due to weakness or apathy or indifference. On reflection, I can see how it would be easy to spend a whole life “doing the work”, but really just half doing it, enough to make some small changes and to live a better life than what I would have otherwise and to feel like I’m doing something, but not doing enough to make significant changes. I think I’ve been stuck in that state for some time, and it took such a momentous anouncement and everyone’s comments here for me to be able to step back and see it, but even then it has been hard to look into which makes me wonder – how deep does the indifference really run, and why haven’t I done more / what do I need to do to overcome it? Thank you for everything, and I wish you all the very best for the future with as much love and friendship as I can offer! I think you’ve made some important points here David and sparked off some reflection in response. I’m also very thankful for the initiatives that have been brought to fruition over the last few years and have got a lot from participating in the Experiences and Spiritual Sun websites. But I can also see that I missed an opportunity to participate in the Remembering and History of TGM sites, as although I was happy to see them up online and submitted a testimony and some comments, I can see that there is so much more to say, while reading through some of the testimonials again. I feel this was an important omission on my part, so would like to put this right now, by more actively participating in those sites. Otherwise, many of the valuable experiences we gained through TGM and Belsebuub’s work could become lost to time. I think Lucia also made a good point about how it may seem that our inactivity or passivity is just a personal problem, but it’s clear that it does actually have far wider reaching consequences within the world. To give a similar example, there are many effective natural health care treatments, which are buried by the mechanism of corporate interests and greed and there are only a comparatively small number of people who are passing on that information. But if those people decided to not bother doing so, it wouldn’t just be a problem for them, it would also deny those who could benefit from those treatments from finding them. 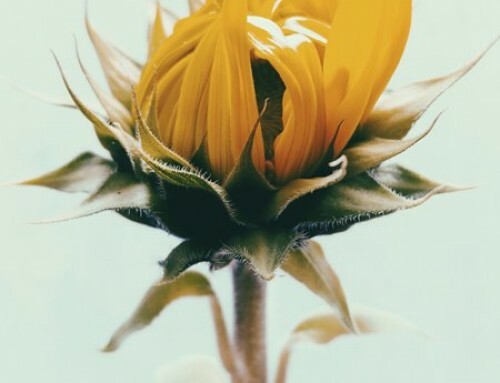 In the case of these spiritual teachings, there is also a responsibility for those who practice them to support the initiatives that allow them to become available to the world, rather than being content with practicing by ourselves. In that way, people who are hungrily searching for something outside of mainstream religion or new age spirituality also have the chance of benefitting in their own lives and in turn “paying it forward” to others who are searching. This was really inspiring to read. However, I wish I had the capacity to even remotely understand what it is to be really free. I feel this is extremely significant but I regret to say that I cannot grasp what it really means. It sounds so distant to me because of my limited perception and understanding. Mark is a roIe model and his life is an example to me and it is a life worth living. I hope I will one day achieve a tiny small percentage of what he has achieved. That would just be amazing in itself. I am not sure if I understood but I hope this does not mean that Belsebuub will not be around anymore. It’s been already mentioned by others in these comments but I share the feeling of regret for taking things for granted. In the darkest times having a source of light to connect us and show us a way out is priceless. Mark’s legacy, his books, talks and articles as well as the revival of the religion of the sun, are part of this but I feel his presence in this world is really what gives it hope. I hope he does not leave it any time soon. From the bottom of my heart, congratulations on this immense achievement Mark! I feel deeply privileged to have been able to see the journey you have taken, and in doing so, you have given us the true means to salvation. I cannot express enough the gratitude to your monumental sacrifice you have undertaken to be able to do this. It brings back memories of the first time I came across the mysticweb website, and read your pdfs, and how things could never be the same from that point on. Your life has taught us so much about the steps we need to take – your writing and books are so down to earth that anyone has the possibility to do this, really there is no excuse, never has the work of the spiritual son/sun been laid out so clear. While I also do have regrets for my own errors and failings, for which affected you directly, I also want to show the gratitude for showing us how human this transformation is. To have been witness to you conquering the 3 mountains, and all of the events that went along with it, all within one lifetime is immense. It is possible, to do. Thank you so much Mark, I am so happy that you are now free to be with your Father. It is so hard to put into words what this latest chapter in Mark’s life means – it encompasses so much, so many events, so many hardships, but also so many victories and shows people how this is possible to accomplish in one’s lifetime. It is amazing, yet this word doesn’t even do justice to the meaning of where you are now, and what you have become, and the radical transformation you went through.. You have made the journey back, going home. And it is incredible, it is wonderful and so much more..
Like so many people have mentioned it is a time to rejoice, and from the bottom of my heart and soul, I rejoice for you, for your one in a million of million accomplishment and I am grateful, so very grateful to have come across your life and work. I also wanted to thank you so much for everything that you have done, all that you have gone through in terms of trials and the knowledge you gained and then shared with us and continue to share with us to this day. Every day, I try to truly live and gain back my freedom, and I owe my knowing of this internal fight to you and to the people who taught you as well. I am very thankful for knowing of this opportunity that we each have and that through your efforts, trials and life you taught so well, tirelessly and selflessly. But I also have tears in the middle of this joy as arriving to where you are, and what was explained in your biography means it will now change the role you held of Teacher. There is so much in this change and so much that is hard to express within it. From realizing lost opportunities, regrets, not taking things for granted and to also coming to terms that everything has an end, to also realizing so many people will have missed out from your direct words and experience. It is hard to express the full range of emotions that I have felt since learning of this new chapter (I was a week delayed, as my browser kept loading the week-old cache…) and realizations that are still coming to me. There is a deep sadness that I have felt among the joy, which is hard to express fully. Dear Mark, I am ver thankful that I was able to be here and alive during your lifetime, to have learned from you and to witness the enormity of your accomplishment. I wish you the very best on your journey of the Light ahead, and as you have given to us and to the world, may the heavens give you back ten thousands fold and more. Wonderful News, the heavens must of been rejoicing for such an incredible being to have conquered back heaven again and increased its radiance once more. Mark you have been such an amazing example of what it takes to do the work, through your life and through your work, and I am so happy to know that you are free, and I am so inspired by it. For me you have personified love in action, honor, dedication, humility, and personified the teachings themselves within you. I wish to give you many thanks for all that you have been through on our account, and for the integrity you have given the spiritual teachings through your work and your life, and the tireless efforts to help us to learn from your experience and understanding. Your beautiful work has given me a lot to reflect on and an abundant source of inspiration to live this spiritual work in my own life. Thank you so very much, our hearts are eternally grateful and inspired. And while I don’t know anything about the journey ahead for you, I wish that all the love and guidance you have given us, be given and more to you in your journey ahead. With lots of love and thanks! Like others have expressed I’m filled with all sorts of emotions reading the final chapter of the biography. I’m extremely happy for Mark that he has completed his path and started a new journey and I wish him the very, very best, as well as Lara. Thank you so much for all the sacrifices and work you have done to help me and others. I hold your teachings and friendship very dear to my heart. Your example inspires and guides me, and the simple fact that you are here has given me so much hope and comfort. It’s a wake-up call though as nothing continues the same forever, and I see how much I have taken for granted, and the consequences of that, and I feel a great sadness and remorse. Looking at the magnitude of what Mark has gone through and achieved in this time, I can see what’s possible to achieve if you are truly committed, and I really want to do much better myself. I also have a deeper appreciation for the work that’s gone into documenting Mark’s journey in the biography, and all of Mark’s books and teachings, especially what he’s working on now. They are so important because they not only explain how someone can do this themselves, but they give a massive amount of inspiration and encouragement to those who are trying to do it. They are an extraordinary legacy for an extraordinary work. Reading Belsebuub’s final chapter in his story has brought up a lot of different feelings, and prompted much personal reflection over recent days. Looking back, I can see how his work has made a huge positive impact on my life since I first came across it about 15 years ago. What a gift he has given the world, and given me. It really turned my life around, and I don’t know where I’d be without it. He has given me a way to find inner freedom in ways I didn’t realize were possible, overcome negative states I never realized could be changed, and experience amazing and wondrous things. His work showed me the way to develop faith and a real relationship with divinity, through direct experience and gain access to hidden knowledge and guidance, which I didn’t realize was possible. This in turn gave me inner strength, direction and purpose and whole new way of living connected with real spirituality. So I feel a great sense of gratitude for what Belsebuub has given. I also feel very, very fortunate to have been able to be part of something truly special and rare. It is so rare for anyone to get this far in the work, and I feel privileged to have been here not just as a witness, but, at times, as someone directly involved in events which had a big esoteric process behind them, and were part of Mark’s incredible spiritual journey unfolding. But along with gratitude I also feel regret. Being part of this has been an incredible opportunity, but I realize I have not made the best use of it. And I’ve made many mistakes and had many failures along the way. The biggest and most central is not making the most of the opportunities this time and these very special circumstances provided or could have provided, for my own inner work, and failing to seize and make use of every precious opportunity and strive to reach higher and higher octaves within, as Mark clearly has done. Other mistakes, failings and missed opportunities, both internally and in my actions, really stem from that. So along with these recent developments I feel a great sense of loss. Those opportunities won’t come again, and now Belsebuub is not going to teach in the world anymore. And it is a great loss for the world, because what Belsebuub could have offered now is immense, but the world will not receive that. And for myself I find it hard to imagine living in a world where his spiritual guidance is no longer there. So when I look at this from my personal perspective as someone trying to practice and study his work I feel a great sense of loss. But I also have to look at this from another perspective, in terms of what it means for Mark, and what is best for Mark. And I feel happy him. He has suffered so much. To know that he will not have to suffer in the world anymore, not be burdened anymore, and that he can return to the light and just be free of all that, I just feel happiness for him. I also feel that humanity and the world are not really worthy of him. He owes this world nothing; in fact, humanity owes him a great deal. Although the path he takes from here is obviously something deeply personal to him (and far beyond my understanding), I also personally feel that certain standards would have had to be met on our part, and the way prepared so to speak, for the path of knowledge to be possible in the world. Although I cannot claim to say this with any kind of authority, I do feel personally that perhaps that way is not feasible with the way things are, and that is our loss, and humanity’s loss. So I do feel great sense of loss that he won’t be teaching, but when I think of his position and what he has gone through, I feel a sense of relief and happiness on his behalf that he won’t have to suffer anymore to help people who largely are indifferent or hostile to him, or do not really value and understand what he offers, or do to some extant but fail to stand by him or meet standards. Mark has left us an incredible legacy and gift from his work, which is the Religion of the Sun, the knowledge of which he has revived through his own incredible work. I feel a great desire and sense of responsibility, having received this amazing gift, to do what I can to ensure its revival does takes root in this world as far as possible and flourishes and endures. I can very much relate to what you said Matthew, and I feel the same. I also feel a great sadness that I have not been able to sufficiently well practice the work Mark had taught, and in this way failed to make use of the opportunities that he gave and to provide support in times when it was needed. It is a very sad situation, and Mark’s decision highlights my shortcomings very sharply. I am glad to read your comment on the Religion of the Sun and I also feel a responsibility to ensure its revival. I agree that the new task before him is beyond my comprehension and that “he owes this world nothing…but humanity owes him a great deal” is something that I also feel very keenly. Even as I watch an ordinary sunrise (not during one of the celebration times), I take heart that it is more than ‘just the sun’. The visible symbol which I see just hints at the vastness of the Spiritual Sun, which Belsebuub has explored at great lengths and documented. So when I watch the sun rise, I sometimes get a feeling of the enormity that exists beyond its rays. To hear that Mark will be returning to the endless & limitless light is also far beyond my understanding. But that he goes there is also very inspirational to me. One of my ‘burning questions’ is: how will the Religion of the Sun flourish without his guiding hand? Deeply, I wish (and pray) it to be so, but I fear that our strength is very small in order to make it happen. All I can seem to do is to work harder to eliminate the darkness within. Thank you for your comment. It has helped me to understand much better from your experience what it takes to diligently dedicate as much time as possible to the inner work and always be very alert when entropy is hitting in. Your post made me realize that I want to constantly revise my practices, to be meticulous about integrating the work in all interactions of common life and to rigorously distinct between time spent on things that advance the personal learning and things that are distractions. I have already felt and seen so many distractions which have a subtle quality of appearing to help, but in reality just distract from the path. The (inner) darkness is so cunning, it is imperative to be very vigilant and very attentive on its influence on our time. I get a much better sense now why they path is called as thin as a razor, because it is so easy to fall in illusion, distractions and trivialities. What an incredible achievement. This is wonderful news and I’m very happy for Belsebuub that he has completed the path of the spiritual sun/son. Belsebuub, I wish you the very best with the next step that is ahead. I’m very grateful for the legacy you left behind by going though the stages of the path, showing it to us by walking it and writing about it. Although we haven’t met in the physical, I feel very fortunate to have been able to receive your guidance on topics through the various talks, courses, books, and experiences in the astral. You have brought light into my life when it was lacking and provided the means to help it grow. I hope many more people will be able to navigate through the rubbish out there and find the value of your work. From my heart, I hope for strength and joy for you on the rest of your journey into the Light. Thank you, Lara, for sharing this with us. It is great that Belsebuub has achieved so much. All I can think of is how much strength and dedication he must have had in order to consciously go through all of the trials and tests of the path and to sustain it for so long. Thank you for posting this amazing conclusive chapter on a truly impressive autobiography. It is with awe and admiration, that I felt something I never felt before; the strongest feeling of respect I have ever felt for somebody. To congratulate Mark and wish him strength, perseverance and light, does not even encapsulate enough, the vast respect I have for him. When I finished reading the conclusive chapter, I thought to myself, ‘wow, for me, this is the most beautiful story ever told’. It is the epitome of human achievement, simultaneously a living example that if you truly want it, you can achieve it too, as the path is inside all of us, if we so choose to walk it. I am truly honoured and deeply thankful that I live and found these teachings in the time that Mark lives as well and have learned from him undilutedly. I imagine finding the teachings, finding a genuine teacher and finding the path in other times, would have been quite challenging. It is a blessing to have been able to learn from all the information he and his entire team have shared with the world. I imagine also Lara, you have been a tremendous support to Mark and to all the people longing and searching for the path, in so many ways. I also want to render honour to you, as I am thankful for everything I learned so far with your help. Mark is a living example for walking the path; he is an inspiration and a source of hope for people that truly want to awaken and for me, as a practitioner, who fairly recently have been able to put the work at the centre of my life, I continue the path with Mark in my heart and with a spiritual motivation fuelled by his monumental achievement. I can really relate to what you expressed here Bogdan-Constantin. I’m also truly thankful to be alive at a point in history where there is a true spiritual teacher like Mark guiding us in such a profound way. I agree that he is an extraordinary role model and a great inspiration. You summed up the impact of his life story very well when you said “It is the epitome of human achievement, simultaneously a living example that if you truly want it, you can achieve it too, as the path is inside all of us, if we so choose to walk it”. I wish you and everyone here every success in following the same path. That is such a heart felt comment, Bogdan. What a joyful and jubilant time that it is! Words cannot fully describe my emotions for this amazing spiritual achievement and the greatness of a soul of a great Being. I am very grateful for your help to humanity by your teachings, your example and your fervent heart for restoring the truth, removing the veil of ignorance. Your Work is dressed like a legacy and a true evidence that nothing is impossible and there is hope. I wish you all the best on your new journey towards the light and thank you and Lara again. Thank you, Lara, for sharing this. What a great news. It’s amazing what Mark has succeeded. Mark’s life and his teachings are an inspiration to me. I have no words. Thank you, Mark. The whole of Belsebuub’s biography has given me much to reflect upon and his personal journey is immensely inspiring on so many levels. It clearly highlights some of the personal sacrifices that are needed, in order to move forward towards the light, along with the rewards that can be gained by successfully meeting the necessary requirements. It shows the vast knowledge of oneself, humanity and the universe that is achievable when one dedicates one’s life to a true spiritual search. It gives promise of the peace that can be gained when we have successfully won the battle to overcome the darkness of the various inner states within ourselves. And it demonstrates that this profound peace and wisdom is something that is not just reserved for certain historical spiritual figures, who are very different from the rest of humanity, but is something that ordinary people living at this point in history can also achieve. 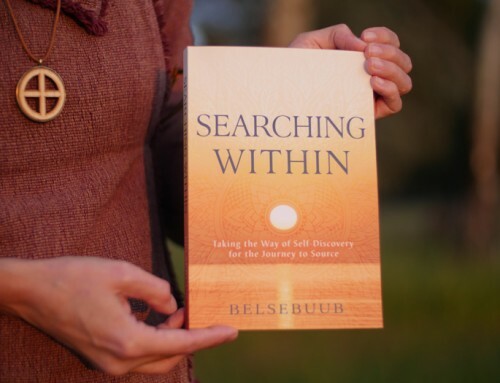 I can relate a lot to the early chapters of Belsebuub’s story, which detail his spiritual search and the shift from an ordinary way of living, to making that spiritual goal the main focus in life. I can also connect a lot with the type of family background and circumstances of his early life that Belsebuub describes, which gives me a great sense of encouragement to know that following the same path is within reach, even though it may seem so far away. “Sometimes spiritual help comes to us in ways that we don’t expect. Sometimes it can come through difficulties, because those difficulties can be the very things that we need to be able to see what happens within us and then to change. This is a different kind of spiritual journey than the one that many people think or relate to as spirituality. This is the path and it’s like Jesus said, he brings a sword. And we have this inner war going on and fighting an inner way is a very difficult thing. But the spark of love helps us to move forward, because we do it not just for ourselves, but because by doing it, by getting understanding, putting ourselves through these circumstances, the knowledge that we get is going to help other people too and that helps us to move forward along the path. Thank you for the beautiful and inspiring post. I’m sure we’re all moved very deeply by these words. My sincere gratitude for everything you have given us. Thank you, Lara, for letting us know of this final chapter. Dear Belsebuub, I never got the opportunity to learn from you in person, but receiving your teachings through the offerings of others has been one of the greatest blessings of my life. When I found the center offering your teachings, I found that yours was the language that made the words of all traditions make sense, the teachings of all the saints and sages become real, practical, and achievable. There is no end to my gratitude to you for the gifts you have given. I’m your absence from teaching I pray that more people may yet find your teachings, people who can work hard and benefit from them, to the extent that is still possible today. And to all the fellow students who helped me learn the teachings of Belsebuub, I am deeply grateful. Without your dedication, guidance, and friendship I would never have found the teachings, would never know this way. Thank you. My prayer is that those who wish to do so will gain strength from Belsebuub’s example and strive to emulate it. My sense is, it is the most valuable thing we can do. I can really relate to what you mentioned here Shannon – about how Belsebuub’s words brought ancient texts and traditions to life. I found his commentaries on the Christian texts from The Nag Hammadi library to be particularly powerful. Similarly, his revival of the religion of the sun is unique and makes sense of so many diverse fragments, whose meaning would otherwise have been lost. I am also very grateful to have found Belsebuub’s teachings and to those who helped me to access them and supported me along the way. I agree that making a commitment to follow in Belsebuub’s footsteps is the most valuable thing to do in life. I wish we would still have had the opportunity of learning directly from him again, have him amongst us as a teacher again, but I completely trust that he has chosen the path that is perfect for him, and one he deserves. It’s hard to fathom the rare opportunity I’ve had, for years now, to study his work and try to apply it in my life, and in a sense witness someone walking and completing the path. It’s been a chance of coming out of darkness and into light, unique and completely different to anything else I’ve ever come across, something much greater than I could have asked or imagined, and it’s completely changed my life. I hope and pray that the day when Belsebuub will abandon his tasks and creation is a long way away! I can’t thank you enough for everything you have done for me, for us, for humanity. I wish you the very best in your journey onward and into the light. I am just in complete awe of Belsebuub’s dedication, strength, love and achievements, and I am overjoyed he has chosen the Light after all his sacrifice and work. I feel that any words I could say can only pale into insignificance with this momentous event. I am just so deeply grateful to have been able to receive Belsebuub’s teachings and to have met him physically and otherwise. The true profoundness of a moment I experienced in his presence will stay in my heart forever. Thank you everyone involved for bringing us all this information. And, to Belsebuub, thank you so very much for everything you have given us and may your journey forward be beyond even your imagination. You said it so beautifully Sue – wishing Belsebuub’s future journey to be even beyond his imagination. 🙂 Such wonderful things exist! I really feel happy just knowing all this is real. I also liked what you mentioned about the “true profoundness of a moment” one can feel in Belsebuub’s presence – so true. Yes, really well said Sue. I’d also like to wish Belsebuub all the very best for the next part of his journey. It’s not really possible to even imagine what it must be like to be at that level and what might lie ahead for him. I would like to think, as Rich says below, that one day many more of us can gain an understanding of this. Just contemplating it kind of leaves me with this blank void; as in all honesty, I have no idea, but can only wonder. Thank you Lara for the update. I want to express my heartfelt thanks to Belsebuub for the opportunity to witness The Work through him walking the path, and also to have been taught about it. I wish him all the best on his new journey. I am also very grateful to you for updating us, and wish you all the best on your next steps. I do not understand what this change means although I hope that there will be opportunities to support the work in the future, and I would like to take part. This is wonderful news Lara, thanks for sharing; it’s such a profound chapter. This has just completely stopped me in my tracks. Like others here, I too am speechless. It leaves me with a sense of I don’t know what; bewilderment, astonishment, some kind of void where I wish there was more understanding, remorse, tremendous joy and admiration for Mark, along with immense gratitude for all he has done for us all; and somewhere in there, a sense of hope and inspiration that keeps me going. A big thank you to Mark and Lara for sharing and to everyone else who has leant a hand in getting these teachings out to humanity. Thanks for this update. If it is not too late, I just wanted to say thank you to Belsebuub for all that you have done for us. I thank you very much for the ways in which my life has changed as a result of practicing your teachings. I feel like I have not only been given a second chance at life but the opportunity to change my existence eternally, which I never knew was possible before. I also want to apologise for all of the mistakes that I have made, opportunities that I allowed to pass and for not doing what I could to uphold the integrity of your work and name or to ensure that others have the same opportunities as I.
I am very happy for you and relieved that you will not have to suffer anymore. I know that you will be in a wonderful place and I wish you well on your journey. Thank you again for everything you have done and shown us. I can relate to the feeling of remorse, which you expressed Kelly. We can only do so much with the level of understanding that we have at a given time, but I very much regret not doing more to support Belsebuub and Lara in their efforts to spread these teachings, when it was most needed. Looking back over the last 10 years, I can see how much time I wasted on trivial interests, or things that didn’t lead in the direction of the awakening. Over recent years, I’ve gained a greater understanding about how precious time is and want to do all I can to use it in the most effective way I can, so that I will also have a chance of following the same path that Belsebuub has walked along. I hope that you and many of us here will be able to follow the same journey. I am deeply shaken. Spent my night and day doing my best, praying, tearful. Experiencing a feeling of great loss. Not because I do not wish Belsebuub all the best and all he deserves. Rather, I realise, it is due to the painful reality that I myself have not yet reached there where I wish to be…. So many questions arise from the concluding page, but I want to say. When, after childhood, I’d lost myself in the darkness of the subconscious. It was thanks only to your teaching, finding its way to me, which gave me the means to experience awareness and perceiving reality again. Giving me the chance and providing me with the opportunity to become alive. And where I’d truly come to forget or even believe there was anything more to life, it was the information you gave that opened me up again to the most precious connection I have, to my own inner Being. Your talks, writing and videos. Full of a wisdom so perfect. Sharing your profound knowledge and providing clarity and inner understanding to the listener on the right direction. Listening to those talks was like receiving Christic bread which nourished my consciousness and quenched my eager thirst for truth. Your guidance in the astral; always two steps ahead, exactly the encouragement I’d need, and so kindly given. Heartwarming every time I wake up. Thank you. Because witnessing your living story of….. the Revolution of Love, is more amazing than any and has been the greatest example and inspiration to me in my life. Thank you for mercifully coming to me in the darkest hours. When I myself had stopped believing in myself, you believed in me. How could I then not continue? You demonstrate love in ways so unexpected and great, that it enkindles a desire in the person receiving it to also grow in their own love. Such is the greatness of your love. It’s your influence that made me be so much of what I am today and it is what has given me the opportunity to go further in my work in the future. You really summed up the profound impact of Belsebuub’s guidance on my own life Karim. I had also drifted off into a meaningless pursuit of pleasure, and although a search for self-knowledge was still underlying many of my life’s choice, its expression was largely submerged by the whims of the emotions. I can very much relate to the sense of inspiration you received from Belsebuub’s talks, writing and videos. In particular the weekly talks and Q&A sessions that Belsebuub gave were a huge source of guidance and encouragement for me. They contained a universal wisdom, which had the power to deeply touch the spiritual part within the listener, despite the differences in our lives and circumstances. 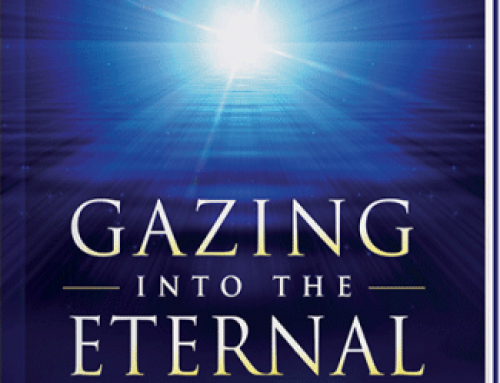 I feel very grateful and privileged to have been able to receive such clear and profound guidance, which has directed my life towards a definite goal of a deep spiritual search. The type of information that Belsebuub has passed on is so unique and speaks to the essence within. It’s clear that it comes from personal experience, rather than just theoretical ideas, and this gives me a huge motivation and encouragement, to know that it’s possible to follow the same path in my own life, if the right efforts and sacrifices are made. An amazing final chapter, that has me happy for Belsebuub. This is something glorious and wish more people in the world was aware of this. I know I haven’t been as active on the website in recent years, but Mark’s work has had a big impact in my life. Without Mark’s work, I would not have found out about my life’s purpose. Even in the worst times of my life, Belsebuub’s books, talks, videos, articles has been an enormous source of strength for me. I must admit, that I am also experiencing confused feelings, selfish egos, like an emptiness, remorse for missing the opportunity to meet Mark and feeling like I lost my best friend. And the privilege to learn from the only truly qualified teacher in the world. With all the huge sacrifices you have done for us, I am grateful for everything you have done and congratulate you on this phenomenal accomplishment and wish you the best on your new journey that we can not even fathom. I can relate to what you mentioned Beyonder. During the worst times of my life Belsebuub’s talks, videos and articles have also provided me with a much needed boost, offering me strength, guidance and hope to move forwards. I agree that without this, I would have lost the connection with my true purpose in life. Thanks for sharing this heartfelt letter to Belsebuub Karim, I’m sure your sentiments speak for many of us, I know I can relate to everything you said here. May your light shine upon us and guide our way! So much to take in within this concluding chapter of the biography of Belsebuub’s amazing journey. …I had an overwhelming sense of being free. I found this quote very moving. It give me a tiny sense of the feeling of freedom and peace gained in the return to source – free of worldly troubles and cares, of all things perishable, immersed in joy and light earned through incredible effort. I find myself amazed at Belsebuub’s journey. He has created a great life through his work, one I can only marvel at and take inspiration from. It is a privilege to have been involved in some small way in projects Belsebuub started, to have met him and seen him teach over the years, and even now to read the works he continues to publish. I have been reading his self-knowledge book each day recently and every time feeling amazed at the profound wisdom and the depth of understanding he conveys. Likewise it is a privilege to get a small glimpse into his completion of the path and the mysteries of what lies beyond, however dimly I understand it. I wish you well Mark, happy for the peace and rest you’ve earned, hoping your example can inspire me and others to make the effort and sacrifices to earn the same. Thank you for all that you’ve given to the world. Thank you Lara for posting this chapter. It is truly amazing and inspiring to learn about the path to spiritual enlightenment through Mark’s work and journey through it. I recall being told as a child (and again in adulthood) that this journey was impossible, that it was a thing of myth or of the supernatural and that ordinary humans couldn’t access it and change. I know now that the path to salvation truly does exist and that it has been recorded in such a profound and accessible way by Mark that we too may come to learn it and take the same necessary steps as Mark to transform ourselves from ordinary people into children of the sun. I agree – there is a lot to take in from this final chapter and I’m not sure I fully understand it either. After reading it, I’m left in awe by Mark’s total dedication and devotion to the spiritual work and his unshakeable level of self-discipline and self-sacrifice. Thank you Belsebuub for everything you’ve taught us – wishing you lots of guidance and success on your next journey. Thank you for posting about this latest entry Lara. It’s so inspiring and just amazing to read about what is possible, and to have glimpses of how vast the spiritual learning is that extends through creation. Even after reading this entry several times, there is so much to take in, it’s so profound. Reading about Mark’s decision for his new journey, it seems very fitting… and I feel happy imagining his ascent to the light, especially after all that he has gone through and everything he has so generously and tirelessly provided to those of us who are learning. Thank you Belsebuub for everything, peace be with you. Dara said everything I was going to say! Having the chapters of the biography all laid out there in their entirety now is a great teaching in and of itself, showing what’s possible (to anyone willing to make those immense efforts and sacrifices to achieve it). It’s quite inspiring, and as you can see from all the comments here just leaves you in awe really. What an achievement. Mark, you have my and Jenny’s continued support and best wishes to keep going on the path you’ve chosen, and may it continue to bring you the results and then some that you’ve worked so hard for. This is amazing, wondrous, incredible, joyous, inspiring and troubling news all at the same time. Congratulations Mark, what an achievement! And thank you Mark deeply for everything! It was wonderful to have met you a couple times in the past and though it is troubling to think one day this creation will not have you in it, I understand from your own teachings it will be a fulfilment of the purpose of creation for you to return to its source as an awakened Being. Wishing you the very best on reaching there. Thank you for publishing this last installment amidst all the work you’re both doing with the new books. I am so grateful to know Mark’s story and deeply touched to consider the absolute dedication it has required of him to carve his way into history in such a tremendous way. May you both receive all the support you need for the steps ahead. Like others here it is difficult to express what it felt like reading that last installment. What an amazing life! So much achieved in his lifetime. What a tremendous role model of dedication, humility and sacrifice. Thank you so much Mark. Wishing you all the best in your spiritual journey beyond here. You summed it up perfectly Paty: “What a tremendous role model of dedication, humility and sacrifice”. Thank you Lara for sharing this truly amazing chapter of Belsebuub’s journey. Although, I have no true understanding, it surely must be such a joyful and magical time. A world without the guidance of the living Belsebuub is a great concern to me, hopefully he’s decision to return to the Light is not around the corner. We probably do not yet truly recognise the privilege of being able to access Belsebuub’s teachings nor the significance of his guidance. You both expressed feelings that I had John and Slawek. Upon reading the conclusion of Belsebuub’s biography, I was on the one hand hugely inspired by the level of spirituality that is possible for an ordinary person to achieve. But on the other hand, I was concerned about living in a world without solid guidance from someone who has walked the path to enlightenment. Without the guidance Belsebuub has given over the years, my life would be so empty and directionless. Yes, agreed. Let us all hope and pray that Belsebuub is here with us for a good length of time before returning to the light. God only knows how much we all need his help and guidance. Thanks for letting us know about the new chapter Lara. It’s amazing and inspiring (and I am fairly lost for words!) to be able to learn about the processes Mark is going through, and to learn more about the possibilities that are out there. I can’t even comprehend what it must be like to finish the path, let alone to take the steps that Mark mentions towards the end of the chapter. It is a very precious thing to have this information available as the processes and possibilities of the path (and now what lies beyond it!) have never been written down so clearly and accessibly, maybe ever. I wish Mark all the very best with his new journey, in every possible way. David, that is beautifully said and I completely agree. Yes, I agree David. It’s so precious to have a guide to enlightenment portrayed in such a clear manner. I very much look forward to reading the new books that detail in more depth the journey that Mark has taken. Yes, David, that is well said. We are so lucky to have these teachings, in multiple forms: written, spoken and even video! I too wish Mark the best with his new journey and wish to say thank you for everything. Everything you’ve done and achieved constantly amazes me. Even without the teachings you’ve presented, your journey itself is inspirational! Dear Belsebuub, it is just so incredible to read about your level of development acquired in the very time where we live! Reading your story gives a much better idea of what it takes to do this spiritual work in everyday life. And I am so glad that I have had a chance to meet you and communicate with you in different ways, so I know fur sure that you are not a daydreamer locked in your fantasies, but are a real genuine person made from “flesh and blood” like all of us, yet approaching things with so much of deeply ingrained genuine spirituality. I wish you all the very best in your continuation of your great spiritual journey, whatever are your choices, and wherever it will bring you! And hope to hear more from you when there will be right time! You have been a bit quiet in the last few years. What a wonderful conclusion. Truly inspiring and yet inducing deep sadness, perhaps also a reality check for everyone who has not freed himself/herself from the ego. Really makes you sit up.Thank you for sharing. The final words cause much turmoil within me, and a flood of self-centered thoughts and questions came to mind. But reflecting and dying to these defects within me, I am left with two things. First is that I am exceedingly grateful for everything that Mark has ever done and this final act is very inspirational to me because it shows me one simple fact: I have not worked hard enough. I have not done what I want to do, and what I want to do is to go where Mark has already been. So, I am left with gratitude towards him and everyone who supports his work. Thank you all. Second is a question (closely followed by a flood of others): Has it already happened (and/or do we know when it will, and will the opportunity to contact him in the internal worlds change, and …, and … and …)? Yes Craig, it’s hard to find words indeed after reading this page and raised so many questions to me as well. Especially on the last quote, I don’t understand if the new books, for example, will be published sometime or is one task which will be abandoned. It’s also very interesting the distinction between knowledge and light and when hermetic life is needed and when is not. I also feel fortunate to live at the same age and grateful I’ve been taught by Belsebuub. Especially after the “religion of the sun” age started. It felt like a great movement started with what comes together. So many things to take in, reflect and get some understanding. Everyone’s input also is much appreciated. Thank you so much for sharing this – what incredible inspiration it is. I feel so fortunate to even know that this is happening to someone else. Can’t say much else, reading this for the first time has left me quite speechless! Now thinking about what all this means for us here, makes me wonder about different scenarios of course… But I guess rather than speculating, better to get down to work and learn about what is going on through a spiritual practice. It is hard to find words to write after reading this chapter in Belsebuub’s life. I am left in so much wonder. It is with great fortune that I could have existed and been part of the learning and teachings of Belsebuub before his recluse into the light. I truly am very grateful for his role as a spiritual teacher in our times and will always be reminded of his core teaching in everything I strive towards. I look forward to his remaining works, and wish that MLP and you both have everything needed for the dissemniation and all the good you bring to the world. Thank you Belsebuub, ten thousand times and the very most success in your spiritual journey. Being able to talk to your Inner Father is already so special in itself, but all Belsebuub’s story is incredible and is a great example of determination, strength, and faith. I can only thank Belsebuub and Lara for all the hard work spreading this truly spiritual knowledge. Wow. That is a very powerful read indeed.